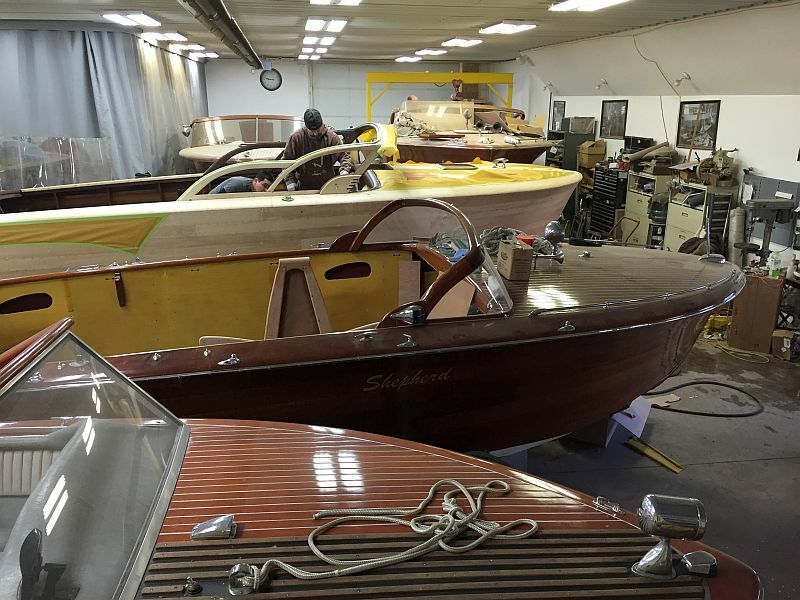 “Shepherd World” at Bergerson Boats. 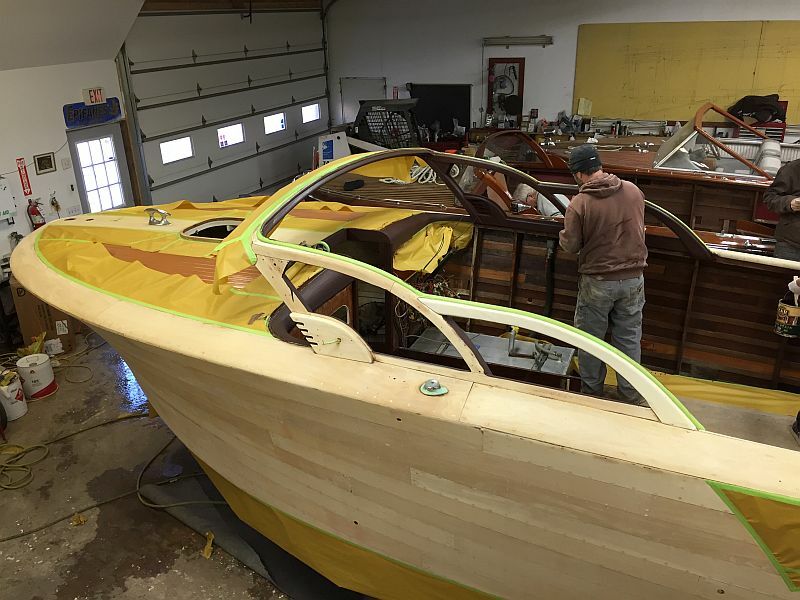 The Bergerson Boat Company of Springfield, Wisconsin (three miles north of Lake Geneva) offers full service amenities for maintaining, restoring and building wooden boats. Currently in the shop are a number of beautiful, beefy Shepherds. Shepherds have not been traditionally represented on the Lake until recently. The story of the Shepherds’ “migration” to Lake Geneva is a fascinating one. 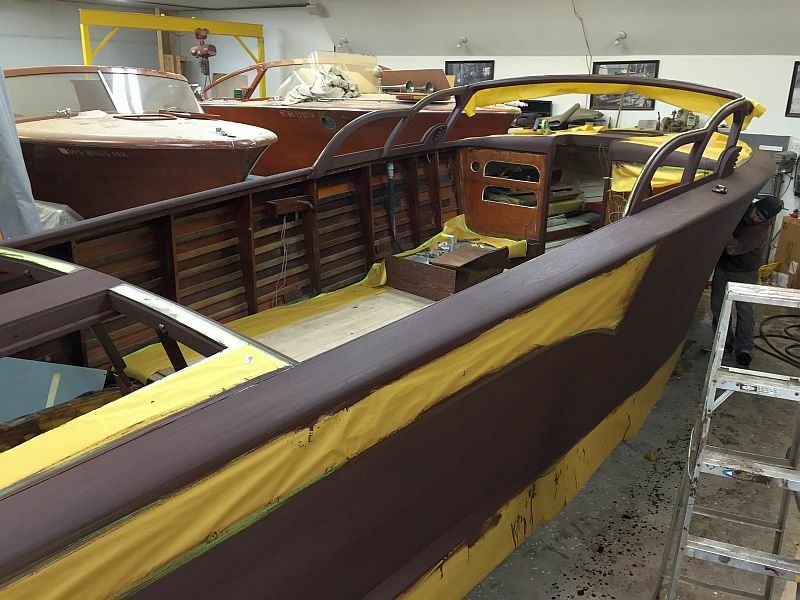 Enjoy the photos of the restorations-in-progress and the story of their arrival at Lake Geneva below. 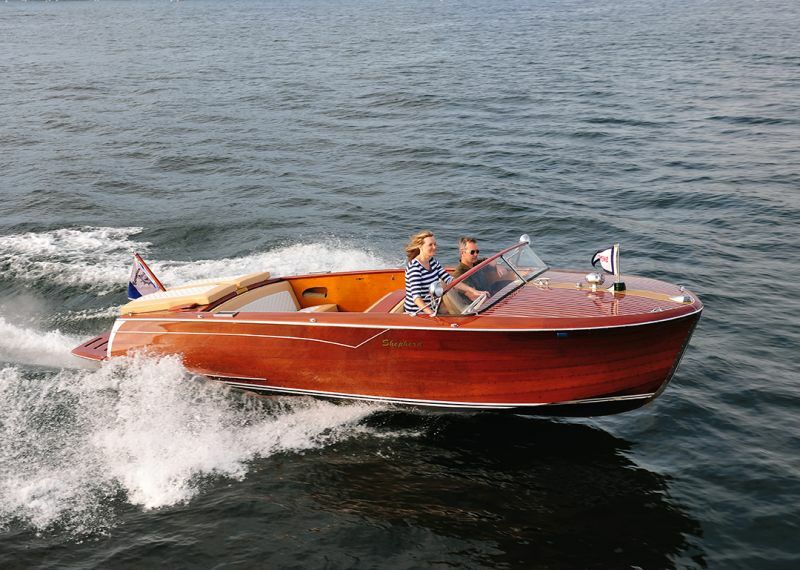 “Lars Bergersen (owner of Bergersen Boat Co.) always admired the style of the Shepherd boats with their high sides and stance which resembles a sitting bulldog. He had restored many Chris Crafts, Centurys, Lymans and Streblow boats, but we would rarely see any Shepherds on Geneva Lake. About eight years ago we had a customer who expressed interest in owning a Shepherd. 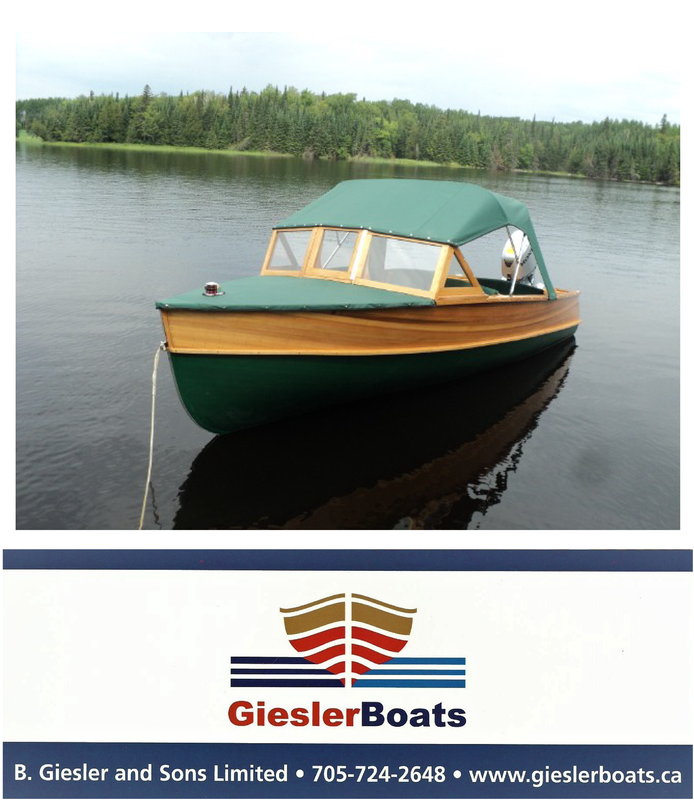 We were able to find one that fit the bill, a 1954 27’ Express Cruiser that was out in Buffalo, NY. So we went out and got it for him. The boat had been completely gutted and it’s parts were scattered amongst multiple buildings. Sorting through the parts and getting it put back together was much like doing a jigsaw puzzle. It took us about a year to get it all back together and make the upgrades the owner wanted. That fall we took the Shepherd to the annual ACBS boat show in Fontana, WI. The Shepherd drew a lot of attention and ultimately we brought home a trophy for it. Since then we’ve seen Shepherds become very popular on Geneva Lake. We now have twelve Shepherds that we maintain or have restored for various customers. The majority of these boats were purchased out east or in Canada and brought here. There are a lot of wooden boats on Lake Geneva and people have gotten used to seeing them but Shepherds have a styling that just seems to command attention. We’ve noticed it being out on our Shepherd and had several customers remark that they get a lot of “thumbs up” and people taking pictures of their boat. A lot of our Lake Geneva clientele tend to want practical family boats. So we have modernized many of the Shepherds with swim platforms and customized seating. We currently have five Shepherds being worked on in our shop. We have a 30’ that will be a full restoration with new engines; a 27’ getting a new bottom; another 27’ getting a full restoration and having the transmissions rebuilt in house; a third 27’ that’s a full strip and refinish and a 24’ getting a new dashboard, helm with hydraulic steering and all new custom interior with hidden storage. 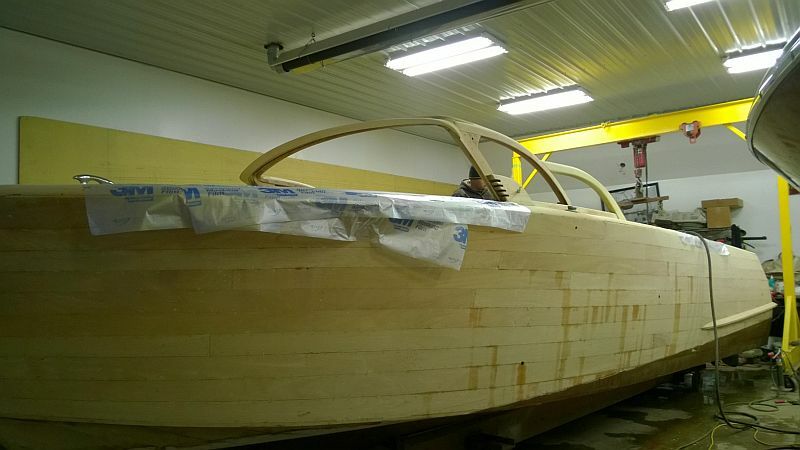 Lars has a passion for working on wood boats of all shapes and sizes, but the Shepherd might just be his favourite.